Agalinis purpurea,_coosa_valley_prairies,_floyd_county,_georgia_1,I_AMC7693. discoverlife.org (Accessed 7/2017). 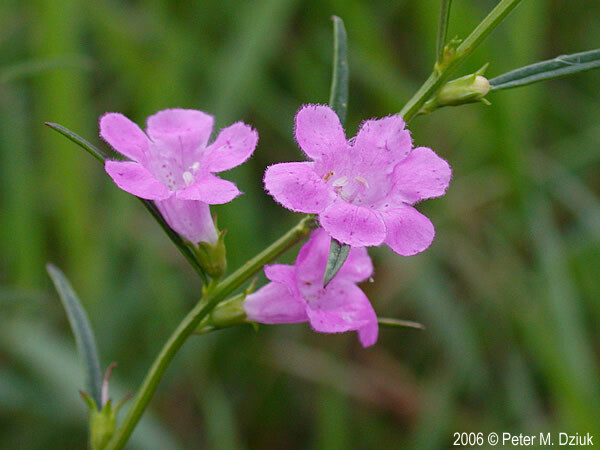 Agalinis purpurea is an annual herb to 120 cm tall; a root hemiparasite; stems simple to branched, 4-sided, smooth. Leaves opposite (often alternate on branches), largest leaves to 0.4 cm wide; small tufts of leaves in axils few or none. Agalinis purpurea. 2006 © Peter M. Dziuk. Minnesota Wildflowers. minnesotawildflowers.info (Accessed 7/2017). 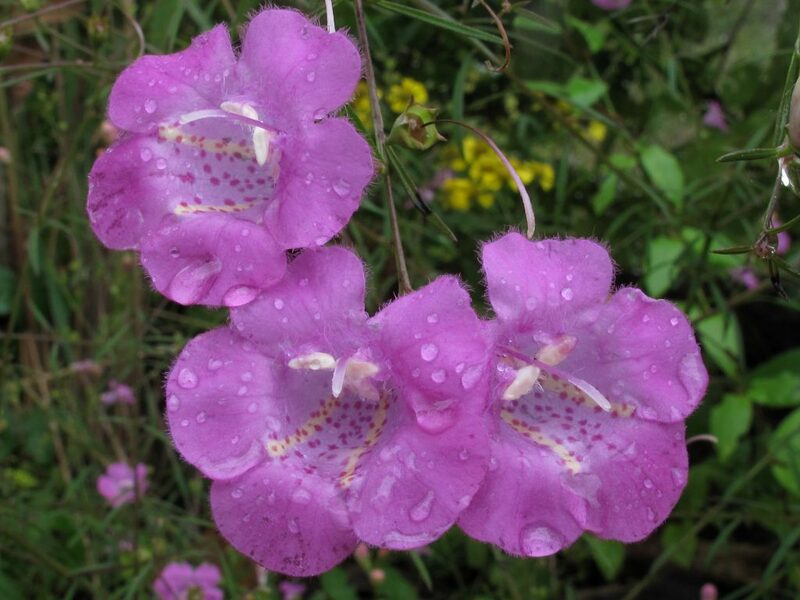 Flowers pink-purple, 2-4 cm long, broadly tubular, slightly bilaterally symmetrical, petal lobes bent back, hairy inside; calyx tube 0.2-0.4 cm, lobes to half as long as tube, triangular, tips pointed, flowers in upper axils on stalks 0.1-0.4 cm. Fruit dry, a rounded capsule 0.4-0.6 cm, seeds dark. Habitat: Open sites in moist to wet soil.